These were the best gaming ISPs in 2016 (the lower the score, the better). The high-speed Internet service provided by EPB is the best in the country if you are an online gamer looking for the quickest and most reliable web connections, according to PC magazine. In its third annual assessment of America's Internet Service providers in a report released Thursday online about "The Best Gaming ISPs of 2017," PC Mag rates Chattanooga's EPB as tops in the nation, not only for its speed for but delivering reliable service. "EPB Fiber Optics — the provider that made Chattanooga, Tennessee, the country's first Gigabit Internet city — is our clear winner as the absolutely best gaming ISP in the United States of America today," reporter Eric Griffith writes. "You just have to move to Chattanooga to sign up and use it, as EPB isn't anywhere else." PC Mag conducts its own speed tests of different Internet Service Providers. EPB had the second fastest overall speed among all U.S. internet service providers, behind only Google Fiber. But EPB ranked No. 1 in the quality of its service. EPB launched its fiber-optic telecommunications network a decade ago to improve its electric service with a "smart grid" that used the fiber links to better reroute power and detect outages quicker. But the smart grid, which received more than $111 million in federal stimulus grants six years ago, also created the backbone for EPB Fiber Optics for high-speed Internet, telephone and cable TV services. EPB helped make Chattanooga the first city in the Western Hemisphere to offer citywide, gigabit-per-second Internet service in 2010, promoting the high-speed service by calling Chattanooga "Gig City." EPB upped that speed to 10 Gig service two years ago and the utility has used it 80-year history of electric service to install and maintain its telecom system. Griffith praised EPB's reliability, as well as its speed. PC Mag said with many multiplayer online games, connection quality matters. Games like Titanfall and Overwatch require multiple players connected online from different cities. 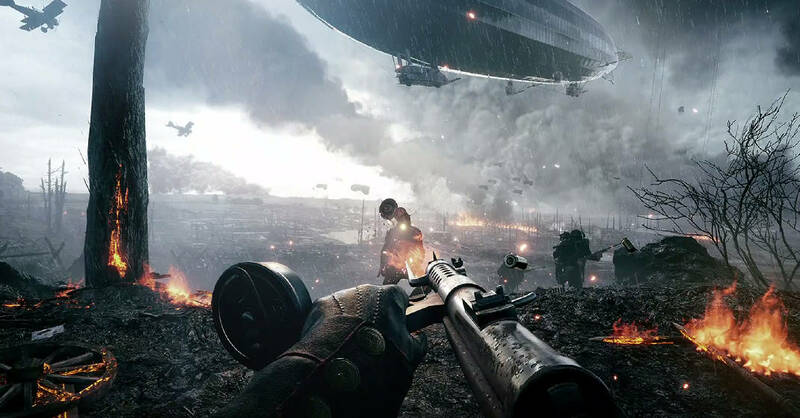 "They're all about full online multiplayer combat to the death," Griffith said. "A relatively fast pipe is fine, but that's more important for streaming video than it is for games which are (typically) rendered locally on a console or PC. What really matters for gameplay is the quality of the connection."